And this weekend, for the first time ever, Sneaker Con will be making its way to Vancouver. 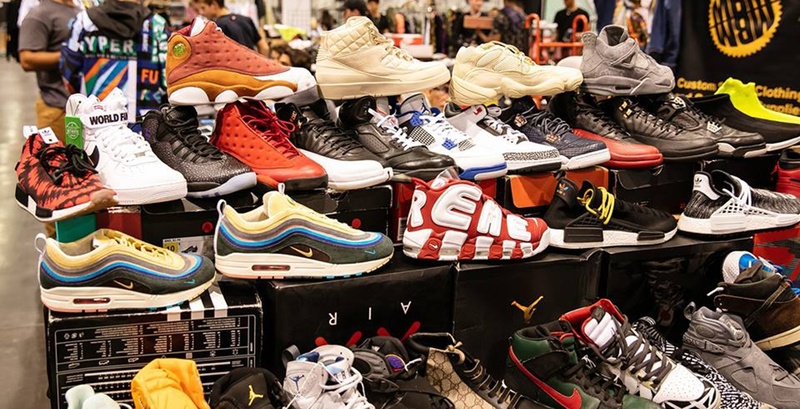 It’s a haven for new collectors and dedicated sneakerheads alike — a place for them to browse, trade, and hopefully, bring home a new pair of sneakers at the end of the day. The event started in New York in 2009 and has since spiked in popularity, filling up venues in Ft. Lauderdale, Bay Area, Cleveland, and other US cities. In 2017, when Sneaker Con held their first Canadian event in Toronto, they had over 10,000 attendees and close to 150 vendors on site. That same level of excitement and enthusiasm is expected for this weekend’s event as well. “We’ve had a lot of people that have participated in our Toronto and Montreal events that will be travelling over. We also have a great group of vendors coming from Seattle, Portland, and California. And you can’t forget about the local crowd,” says Vinogradov. Sneaker fans, whether new to the hobby or grizzled veterans, will be able to shop from a massive selection of shoes. Nike, Adidas, Jordan, Yeezy, you name it. Not looking to spend money but want to bring a new pair of sneakers home? No problem. The event also includes a massive trading pit, an open space for attendees to swap pairs and bring home something new. And of course, to make sure that visitors can buy, sell, or trade with confidence, the event includes an authentication team, who will be tagging shoes and making sure that they’re the real deal. Vinogradov explains that they’re expecting more than 20,000 pairs in the building and that in addition to cash, a number of vendors will be accepting card payments. Sneaker Con will take place on Saturday, February 9, from 12 to 7 pm at the Vancouver Convention Centre. Tickets can be purchased online or at the door for $28.55.